This book is the syllabus of the fertility yoga & nutrition programma the author teaches in the biggest fertility clinic in Europe (The Hewitt Fertility Centre, UK) and The Netherlands. 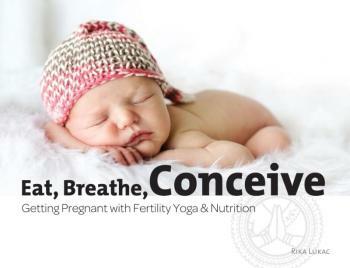 In Eat-Breathe-Conceive Rika Lukac explains how fertility yoga and a special diet (including superfoods) can bring balance to your body and mind, increasing your chances of pregnancy and of bringing a healthy baby into this world. Whether you are trying to get pregnant naturally or going down the medical route, this book is for you!